On April 5 we announced the 11 journalism projects to be funded in our inaugural Grants round. The judging committee selected the winners from a field of 117 applicants on the basis that their stories would serve the public interest, would make an impact and would not otherwise be published. 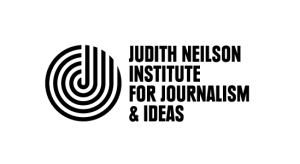 The initial pool of $50,000 from the Walkley Public Fund for Journalism was boosted by an additional $25,000 contribution from the Judith Neilson Institute for Journalism and Ideas. Veteran reporter Sean Dorney has given his name to a $10,000 journalism grant, to be awarded annually by the Walkley Foundation for the first time in 2019. The Sean Dorney Grant for Pacific Journalism will support a significant work of Australian journalism about an under-reported issue or development in the region. Read our post on the announcement here. The Walkley Grants for Freelance Journalism (currently closed) are open to Australian freelance journalists (as individuals or small groups) to request funding to support the production of public interest journalism, either a single story or a journalistic project. Stories may be pitched on any topic, in any format (including investigations, news stories or features, but not essays or opinion) and on any media platform (including text, photojournalism, data journalism, podcast, video, illustration and multi-platform projects). Grants from $2,500 to $10,000 will be awarded to cover reporting costs directly related to the project (which may include reporters’ time, travel, research and support). The judges are seeking stories that make an impact, and distribution is critical to that: applicants should be clear about who their intended audience is, what they will learn and how the story can reach them. Successful projects will be published by the end of 2019 in the Walkley Magazine online under a Creative Commons licence, in addition to co-publishing with any publications the applicant has organised. It is free to apply. Applications closed at midnight on March 8, 2019. The projects selected for funding will be announced on April 5 at the Walkley Fund for Journalism Dinner. Apply using the online application form. It is free to apply. As well as your contact details, there are six fields with space for a maximum response of 100 words each, so be clear and to-the-point. You will also be asked to upload a one page CV, including a reference. You will need to provide details about your story/project idea, what costs would be covered by the grant (include a list or simple budget), who the audience is and what impact you think the project will have. Applications close at midnight on Friday March 8, 2019. Commissioning works by individual journalists to focus on under-reported topics that are in the public interest. These may cover areas, such as journal of record functions (courts and local politics), particularly in rural and regional communities, health, environment, indigenous affairs and gender equity. Please subscribe to our newsletter to stay up-to-date with information on upcoming grant rounds.